Over the summer I went through a brutal patch of insomnia. A friend recommended meditation, and so I downloaded the Headspace app and began letting Andy Puddicombe's soothing British accent talk me through 10 minutes of quiet. The insomnia subsided, and I stuck with the meditation practice. As my meditation time increased -- the Headspace program works up to 20 minutes -- I only managed to fit it in a few times a week, but I kept at it. My reasons for continuing to meditate were entirely selfish. I'd read about the health benefits of meditation and I was interested in reducing my anxiety and performing better at the gym and on my surfboard. 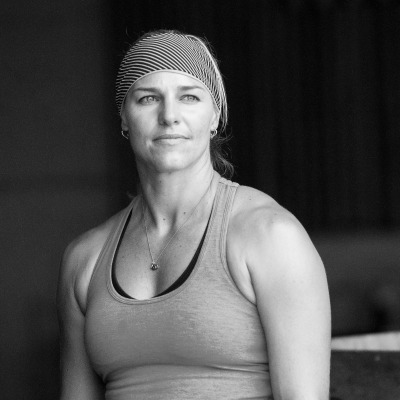 Although I'm a 41-year-old mother of two, I try to hold my own against men and women ten and 20 years younger than me in CrossFit and out in the water. I was hoping meditation would take away some of the stress I felt about trying -- and often failing -- to keep up. Of course I also hoped I'd get better, that I'd catch bigger waves and lift more weight. The difficulty with meditation is that it's hard to tell if anything is happening. You sit there, doing nothing, for longer and longer stretches of time. The inactivity is deceptive, of course. What's actually going on is a mighty struggle to control your thoughts. 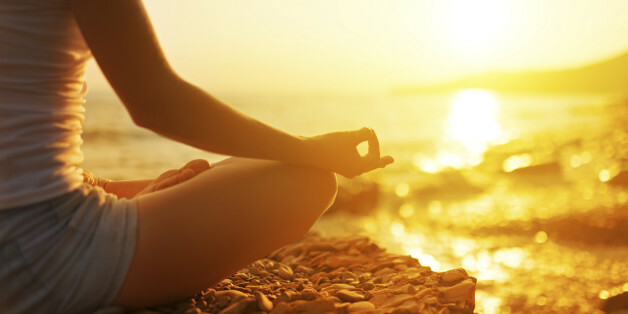 The goal of meditation is to completely clear your mind, and to focus on sitting, or breathing. The goal is to quiet the rush of thoughts that flow through the mind at all times. It's incredibly difficult. When you're starting, you are lucky if you can achieve a quiet mind for a few minutes, or a few seconds. Twenty minutes is a very long time to sit still. As a working mom of a 6-year-old boy and a 9-year-old girl, my mind is a constant ticker tape of to-do lists and appointments. To make the experience even more difficult, at the beginning of the 20-minute sessions, Andy asked us to think about how our meditation would benefit those around us. I was doing meditation for myself. I spend much of my time taking care of my family--why couldn't I have this for myself? However, as a good rule-follower, I hastily thought, "I'd like meditation to help me be more patient with my kids." Then I put it out of my mind and tried to focus on my breathing. This process repeated each meditation session. I never thought about being patient with my kids for more than a few seconds each time. After winter break the kids' after-school activities started to pick up, and I realized we had something to do every single night. Most nights we weren't getting home until after 6pm. One of the most challenging times of the day for me is late afternoon and early evening. As soon as the kids get home from school, my mind is on the tasks to be completed by dinnertime: homework and making it to practice on time and dinner preparation. My husband has a long commute, so he's usually not home until after dinner. I'm on my own. This is the time of day I'm most likely to lose my temper, snap at the kids, or emotionally retreat, drawing into myself to just get through the afternoon. I got through the first few weeks of this busy schedule by planning ahead. I'd set up dinner in the slow cooker in the morning, or chop vegetables in the afternoon while shouting out homework instructions. Everyone got to practice on time, homework was completed, and we'd sit down to a healthy, home-cooked dinner every night. But I was exhausted. There was no margin for error in this routine. No sitting on the couch with my son, smelling his hair while he chattered happily about the Hulk. No time to listen to my daughter describe the plot of the latest book she's reading. Then one Wednesday I wasn't able to start prepping dinner before my daughter's swim team practice. It was 6:15 and I was driving the kids home with no real plan for dinner. Normally this would have set me a tailspin of anxiety, but I found myself unable to get upset about it. One of my favorite songs came up on my Spotify playlist, Iron and Wine's "The Trapeze Singer." I smiled, listening to Sam Beam's hypnotic voice. My car crested the hill and I got a glimpse of the sky, orange and pink from the setting sun. "Look guys," I said to my kids, "look at the sky." We got home, and the kids took showers as I made burgers and a salad. We were finishing dinner by 7 p.m. It wasn't until after the kids went to bed that I realized what had been different about that afternoon. I never became anxious. I never snapped at the kids. I was able to flow from activity to activity without getting caught up everything that lay ahead. Then I thought back to my meditation sessions. What kind of sneaky magic was this? I hadn't put any thought into changing my behavior. Except that I had. The more I thought about it, the more I began to see a connection. Meditation was teaching me to live in the moment, and what was making me cross and impatient with my children was thinking too many steps ahead. What did it matter if dinner was 30 minutes later than normal? Was a 6:30 p.m. dinner worth an afternoon full of anxiety? Sure, performing well athletically is fun, but these anxiety-filled afternoons had been eroding my overall happiness. With the help of meditation I didn't get what I wanted. I got what I needed.